This module allows you to add a description for each attribute of your products in all languages. 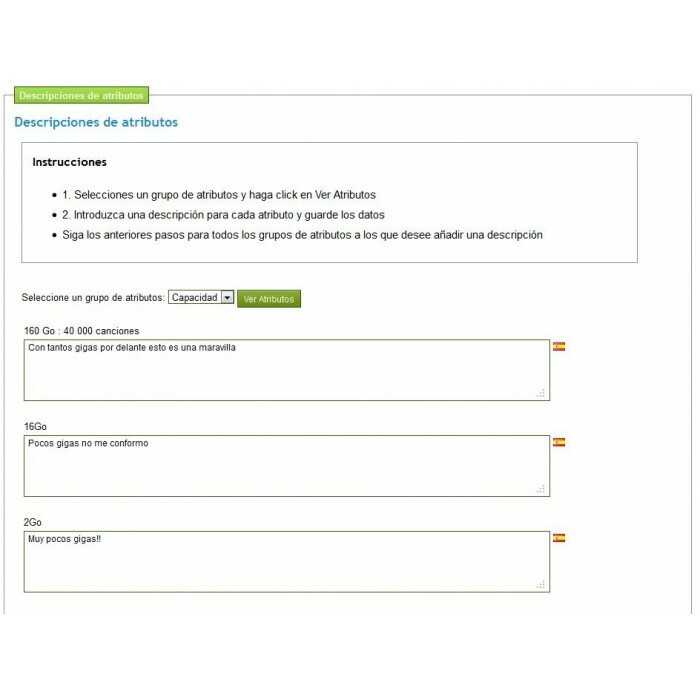 This module allows you to add a description for each attribute of your products in all languages ​​so that when changing attribute displays the new description of the chosen attribute. 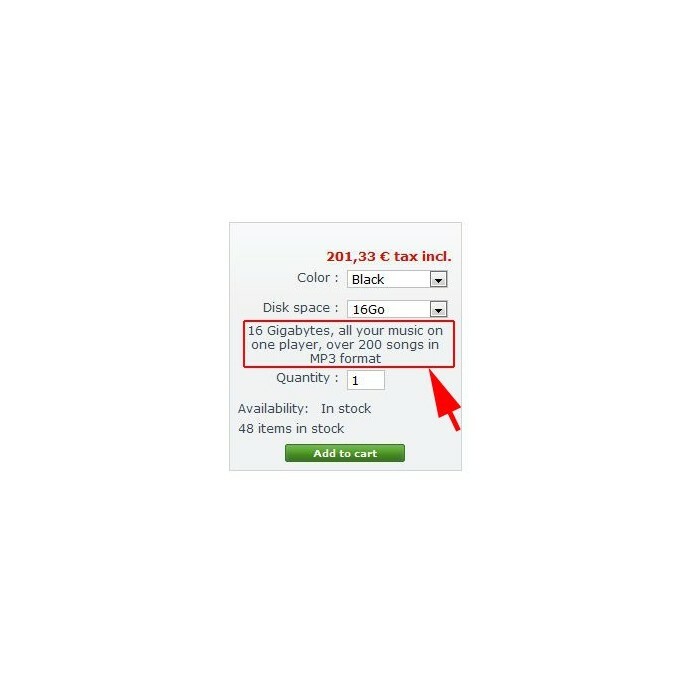 You can show to your customers additional information about each attribute. You can edit the styles of the module by modifying the file included in the module folder styles /CSS. Check the instruction manual of this module.